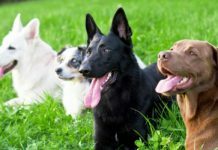 If you have a deaf dog in your life and are wondering how to go about deaf dog training, you’ve come to the right place. Whether you are adopting a puppy who was born deaf or you have an aging dog who is losing his hearing, you’re in good hands here. While training a deaf dog may seem like an overwhelming task that should be left up to the professionals, you really shouldn’t worry. Training a deaf dog is not as hard as it may seem. Yes, it is true that deaf dogs learn differently than hearing dogs. However, they can live relatively normal lives and are in all other ways just the same as any other fun-loving dog. Deaf dogs love their family members, enjoy learning new tricks and deserve to partake in all the fun doggy activates that life has to offer them. So, with that in mind, let us help you navigate the best ways to begin training your deaf dog. But first, what is life like with a deaf dog? What should you expect? And how can you better help your deaf dog adjust to a world full of sound? Keep reading because we are about to tell you. Yes, life with a deaf dog is going to be a bit different than life with a dog who can hear, and for obvious reasons. The biggest challenge you are going to face is deaf dog training. 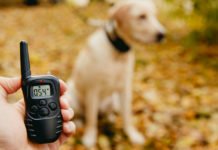 This means that since your dog is hard of hearing, you will have to forgo traditional training methods and adapt to using hand signals, touch, sound vibration and facial expressions to teach your dog what you want from him. 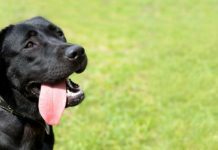 While it may seem daunting at first, the truth is that training a deaf dog can be just as simple as training a hearing dog. You simply must use consistency, patience and different tactics to get him to learn. If you are wondering how to train a deaf dog, you’ve come to the right place. Perhaps you’ve had dogs in the past and know exactly how to train a hearing dog. However, a deaf dog is going to be a bit different. Deaf dogs rely on visual cues rather than vocal cues, meaning you’re going to have to face your dog or use touch or vibration rather than sound or vocal commands. But did you know you can still call your deaf dog when you’re in another room? Certain collars made for dogs who are hard of hearing emit a gentle vibration you can control when you want your dog to come to you or respond to something. But that is not the only way you can communicate with your deaf dog. Facial expressions and hand signals are incredibly important and a great tool you will utilize in your deaf dog training methods. Deaf dog sign language is very popular and easy to learn, so don’t feel intimidated. You’ve got this, and we are going to help you get started. But first, let’s begin with the basics. No one likes being awakened abruptly from a sweet sleep, and deaf dogs are no different. Since deaf dogs can’t hear you approaching them while they are sleeping, you’ll want to wake them gently and carefully so as not to scare them. The best way to wake your deaf dog is to approach him and place your hand before his nose so he can smell you. Then touch him on his shoulder gently. Keep in mind that it is best to touch your deaf dog in the same place every time so he can build trust and associate that touch with the person he loves. Since deaf dogs startle more easily than hearing dogs, it’s important to utilize desensitization training with your deaf dog training methods to help get him used to certain touches and commotions around the home. Begin with reward-based training and always use treats. Then stand before your dog so he can see you. 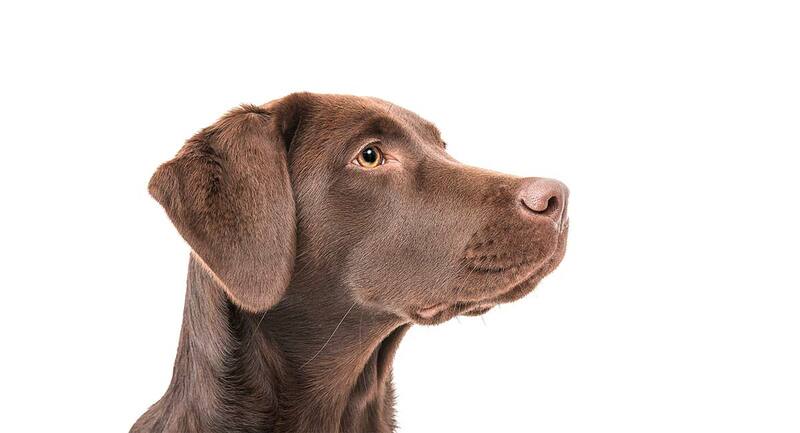 Touch your deaf dog gently in the same spot every time, then offer him a treat. As he becomes used to this, you can move around him. Again, always touch him in the same spot and offer him a treat. This will help him build trust and help him to associate the touch with something positive. You can also use sound vibration to let your deaf dog know you are coming. Stomping on the floor harder than normal will help him to feel your approach rather than hear it, which will also help him to avoid being startled. And now, here are some basic signs you can use in your deaf dog training. Deaf dog hand signals and facial expressions are going to be your best way to communicate with your deaf dog. Dogs are experts at reading our facial expressions, and deaf dogs are no exception. When your deaf dog has done something good, reward him with a treat and a happy face. This is the equivalent of praising your hearing dog in a high, happy voice. But what about deaf dog sign language? There are many signs you can learn to help you better communicate with your deaf dog, but we’ll begin with the basics. Good dog is the first signal you’ll want to learn, as you’ll follow most other signals with this one when your deaf dog does something correctly. It is easy to learn, as it is a simple thumbs-up. Follow your thumbs-up with a treat and an excited facial expression. You can begin using the thumbs-up signal with the touch training. Touch your dog in the same spot every time, then signal the thumbs-up, smile and offer him a treat. It won’t be long before he realizes what this signal means. Getting your deaf dog to focus is key to getting him to learn signs. For hearing dogs, you would simply call the dog’s name and get him to look at you, but for hearing impaired dogs, you’ve got to use signs. The focus sign is simply two fingers pointing at your eyes. When utilizing this in your deaf dog training, we recommend using a treat to first get him to look at you. Once he makes eye contact after you point to your eyes, offer him the treat and give him the “good boy” thumbs-up. Sit is an important one, whether you are doing deaf dog training or hearing dog training and getting your deaf dog to learn to sit is easy. Just open your hand and point your palm at the floor. As your dog begins to learn that this signal means “sit” and thus follows through, offer him a treat and the thumbs-up sign. The most common sign for telling your deaf dog to lie down is pointing your pointer finger at the floor. This is an easy sign for your dog to remember. With a treat, happy face and thumbs-up, your deaf dog should learn it in no time. Training your deaf dog to come is simple. Make sure you are in your dog’s line of sight and then you can either pat your thigh or make the “come here” motion you would normally use, such as making a waving motion toward yourself. Just make sure whichever sign you use is the one you stick with. You don’t want to confuse your deaf dog by giving him too many signs that mean the same thing. In your early days of deaf dog training, always use the treat reward system. When you pat your leg and your deaf dog comes, offer him a treat and then a thumbs-up. This will get him used to the command, and it better tells him he has done what you’ve asked him to do. If your deaf dog is a jumper and you want him to learn that’s not okay. Or, if your deaf dog is getting a little too excited, this is a great signal to learn. 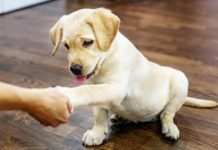 Simply hold your hand up, palm out, as if to say “stop.” When your dog stops or calms down, offer him a treat and the thumbs-up sign to tell him he is a good dog for listening. While the thumbs-up sign is a similar concept, you can also use the “okay” sign, by making a circle with your thumb and index finger and keeping your other three fingers raised. This symbolizes “yes”, or that your dog is on the right track. As you get more advanced your deaf dog training, you can follow the “focus” sign with the “yes” sign to show focusing is what you wanted from him. Then give your dog a command with one of the other signals. When he follows through, give him a treat and the thumbs-up sign to tell him he is a good dog. Deaf dogs are dogs all the same and tend to get into things. If your deaf dog gets hold of something he shouldn’t or is looking like he’s sniffing a little too close to Christmas ham, you’ll need a signal to tell him to leave it. A great and easy sign is the “time-out” symbol. This is the classic “T” used by referees to signal a timeout in sports games. You can train your dog that this sign means he should settle down, back away from the food that isn’t his, drop the stuffed animal he shouldn’t be chewing or stop that barking. As with the above signals, always follow through with a treat and the thumbs-up sign. And of course, don’t forget that big, happy grin. When teaching your deaf dog sign language, an important sign is the “go” sign. This sign can also be used for fetch. It’s an easy sign that simply involves pointing your index finger in the direction you want your dog to go. You may utilize this sign when your deaf dog has entered a room he shouldn’t or when you are trying to get him to go outside. As with all the other signals in your deaf dog training methods, always follow training with a treat, thumbs-up and happy expression. Not a necessity but still kind of fun, teaching your deaf dog to shake is simple. Be sure your dog can see you, then hold your hand out. With your other hand, gently lift his paw into your open hand. Then give him a treat and signal thumbs-up for “good boy.” Continue this until the command sticks. Soon, all you’ll have to do is hold your hand out. While gently vibrating collars, floor stomping and hand signals are all expert-approved approaches to training your deaf dog, one thing experts do caution is using lights in deaf dog training. Some dogs can become obsessive with certain lights, and using laser pointers to get your deaf dog’s attention could cause anxiety. Of course, always make sure to research any tools you are utilizing in your deaf dog training. 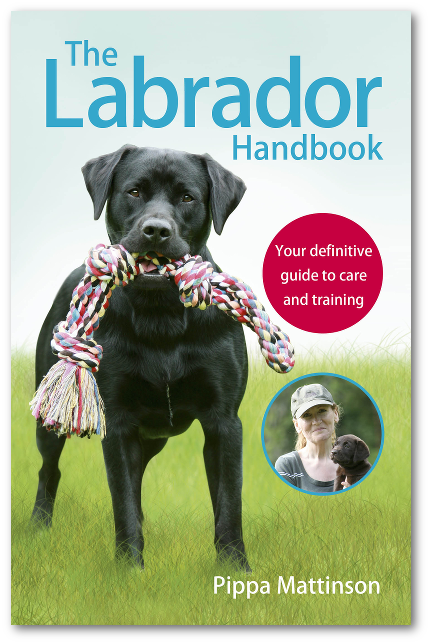 Many trainers use American sign language to expand on further deaf dog training. 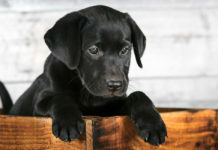 However, it is also not uncommon for many deaf dog owners to create their own unique hand signals to help communicate with their dogs. If something seems to come naturally to you and your deaf dog picks it up, don’t worry if it is not in the “deaf dog” handbook of signals. The most important thing is that the signs are simple and easy for your deaf dog to understand. You must also consistently follow through with positive rewards and happy expressions to let him know he’s done a good job. And remember, deaf dogs do startle easier than hearing dogs, so while there are not too many rules when it comes to hand signals, it’s extremely important to utilize the “same spot touch” method when training a deaf dog. We hope this article helps you to be confident going forward in your deaf dog training. We are sure that with consistency, patience and the treat-based reward system, you will be communicating with your deaf dog in no time. Becker, S.C., 2017, “Living with a Deaf Dog: A Book of Training Advice, Facts and Resources about Canine Deafness Caused by Genetics, Aging, Illness,” Chapters 5-7, 2nd Ed. Previous articleCan Dogs Eat Pistachios As A Snack? To train a hearing dog with these hand signal can be extremely useful. It prepares us and our dogs for a time when they may become deaf.